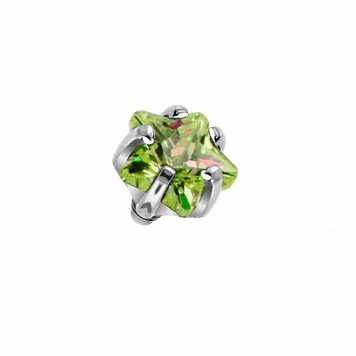 This is a 9pc 316L surgical steel prong set star jewel dermal top internally threaded. Fits into a 14 gauge dermal anchor. The anchors are sold separately. Jewel colors are red, purple, blue, clear, green, black, pink, aqua and tanzanite. Available in 2 sizes (3mm and 4mm). Made as one piece. Not welded. Autoclave safe. Item is nickel free. 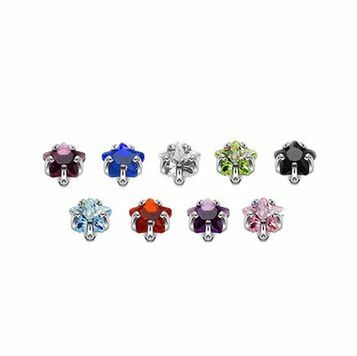 You will receive 9 jeweled dermal tops in the size of your choice.